We are wanting to advise the community that there is an apparent phone scam circulating with the jails phone number appearing on caller ids asking for bond money. This is NOT the jail calling you. We are sorry for any inconvenience this is causing. 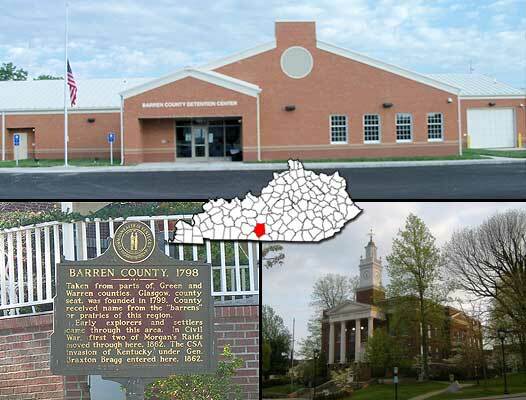 It is the Mission of the Barren County Corrections Center to protect the public and institutional safety while providing programs intended to reduce the likelihood of re-incarceration. Circumstances may change without notice due to changes in the law, emergencies, and rules of the Barren County Corrections Center. This website is intended to comply with the public information act and is provided to make information available to the public. This information should not be used in any manner to injure, harass, or commit a criminal act against any person or family member of a person named in the jail facility. Any such action could subject you to criminal prosecution. All persons charged are presumed innocent until proven guilty in a court of law. If errors are noted in any inmate record the Barren County Corrections Center will make every attempt to verify and correct the error as soon as we are made aware of it.